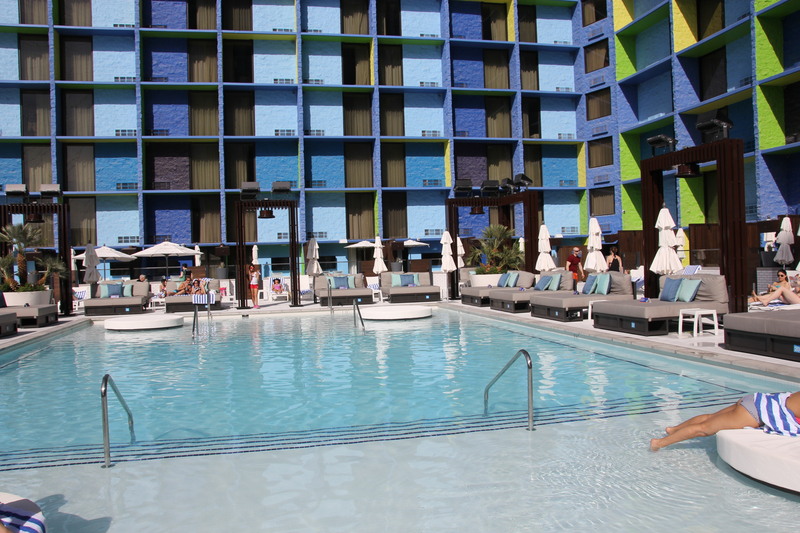 A brand new pool has finally been opened at the New Linq Hotel & Casino in Las Vegas. 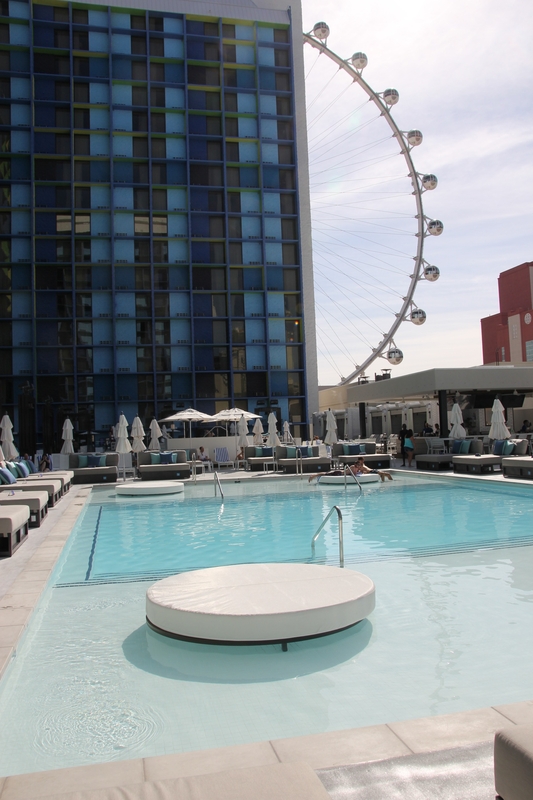 There are a total of 2 gorgeous modern pools overlooking the High Roller observation wheel depending on which way you’re seating/sunbathing on the lounge chair. All I can say is the new pool is fabulous and a million times better than the Imperial Palace’s pool was before the whole renovation of the Imperial Palace to the Linq Hotel. Come check out The LINQ Hotel’s brand new pool. 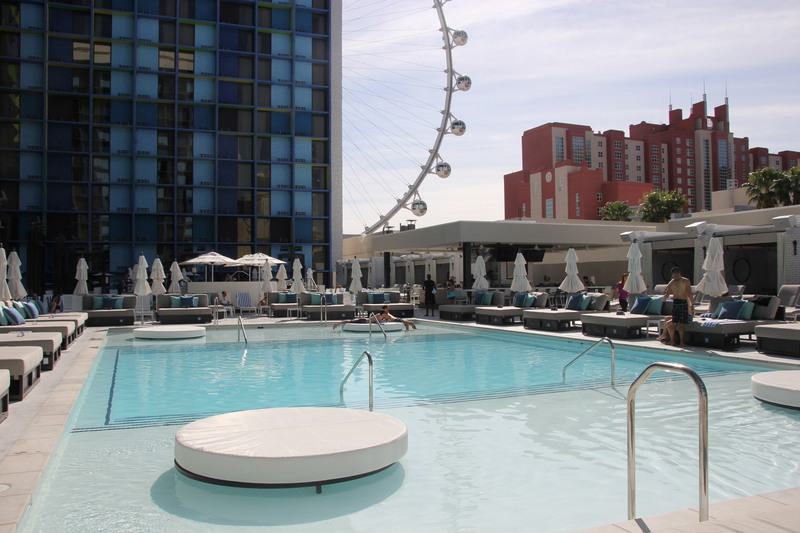 The 21 and over LINQ Pool provides a cooling escape for those looking to party at this sizzling center-Strip destination, with amazing views of the High Roller and LINQ promenade. Plus, the misting system around the entire pool deck will help keep everyone cool! The main pool features first come, first serve open seating and a wet deck where you can rent one of four lily pad daybeds, while the second pool can be accessed by a standalone elevated deck with tables available for rent. Highlights of the center bar include four Plasma T.V.’s, 30 seats and a diverse selection of frozen drinks, draught beer and signature cocktails. Food is available through food runners from Nook Express. Every Friday, Saturday and Sunday, hang out in the indoor, air-conditioned “recover zone” featuring TV’s and pool tables. Electronic lockers are also available to all of our guests.